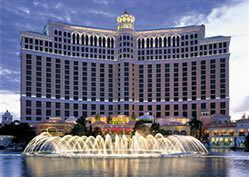 Finding luxury accommodations in Las Vegas is as easy as learning your ABC's. Alladin, Bally's, Caesars Palace ... no doubt these names will sound familiar. Located right in the heart of the Strip, they are but a few of the many resort hotels that offer on-site dining, shopping, gaming and theatrical entertainment. The options are vast and choosing the right hotel to suit your particular taste and budget requires careful consideration. 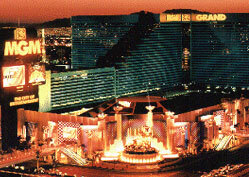 Now that know the basics, you're ready to begin your search, whether it be for a Las Vegas hotel, motel or campground. We've compiled a handy Las Vegas hotel list to help you guide you along the way. And remember, Sin City has a reputation for providing patrons with great deals, so if you don't see one advertised, be sure to ask when making a reservation at your chosen destination.